Below we publish a copy of Margaret Owen’s paper on the international conspiracy of states in the abduction and arrest of Abdullah Ocalan, presented at a recent conference in Athens on the 17th anniversary of the Kurdish leader’s kidnapping. Finally, 17 years after Abdullah Ocalan was brutally and unlawfully abducted in Nairobi, drugged, blindfolded and taken to Turkey by Turkish agents, with the sinister connivance of several other sovereign states, including Greece, this international plot is at last to be exposed at the Court of First Instance of Athens on November 4th. The kidnapping and subsequent imprisonment of Ocalan was a despicable as well as an unlawful act. Here at this Conference I join with human rights lawyer, defenders, activists and freedom fighters, men and women all over the world, in congratulating the lawyers here in Athens, working with Ocalan’s Kurdish lawyers in Turkey, for pursuing this route to get justice for “Apo”, and for the Kurdish people. 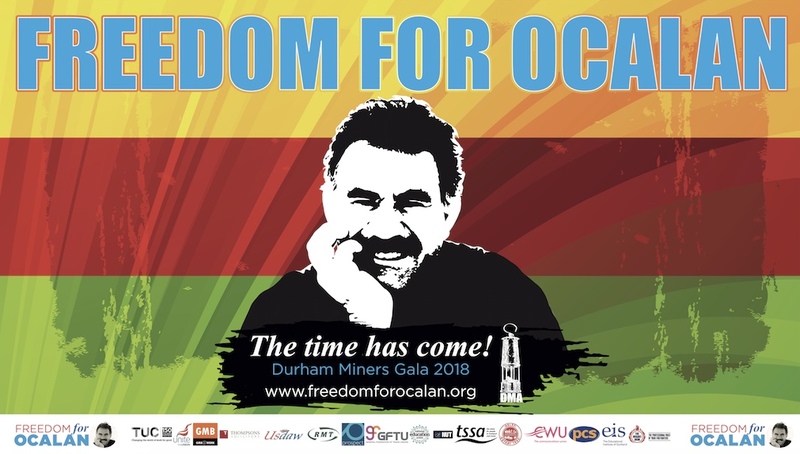 This is a significant innovative and creative step towards obtaining Ocalan’s release from the torture of his long and unlawful incarceration on Imrali; lifting the unjustified “terror tag” placed, at Turkey’s behest, on the PKK, and resurrecting the peace process, based on Ocalan’s “Road Map for Peace”, which the AKP shockingly broke in 2013. There can be no effective peace negotiations until Ocalan is a free man. He is key to the dialogue and any final peace accords. As Nelson Mandela stated, whilst still on Robben Island, “I can talk about peace but I cannot talk peace until I am a free man”. The collaboration of the Kenyan authorities and the collusion of other foreign governments, particularly the US (CIA) and Israeli intelligent agencies (Mossad), in this outrage were deplorable, as has been the almost total silence of the EU, including my own country, the UK, under both Labour and Conservative governments, to our shame. This is will be the first time that a legal suit of this kind has been brought against one of the major actors, Greece, in the plot to support the Turkish State in its determination to crush totally the Kurdish people, deprive them of their culture, their language, their fundamental human rights, their community and political participation, and their leader, in violation of international laws. With this objective, the Turkish government has subjected the Kurdish people to the most extreme forms of torture and abuse, evicting them from more than 3,000 of their villages; taking from them all the tools of their livelihoods, homes, lands, and livestock, imprisoning and torturing anyone, including lawyers, who spoke out on Ocalan’s behalf or promoted his ideas. It could be argued that if only the UN and the international community in general had not, through its silence, implicitly condoned this illegal abduction and subsequent unfair trial of the Kurdish leader, if Turkey had been so named and shamed, and Ocalan (like Nelson Mandela), had been released so as to participate in an effective peace process, we would not now be seeing such horrific pictures on our television screens as we do today. 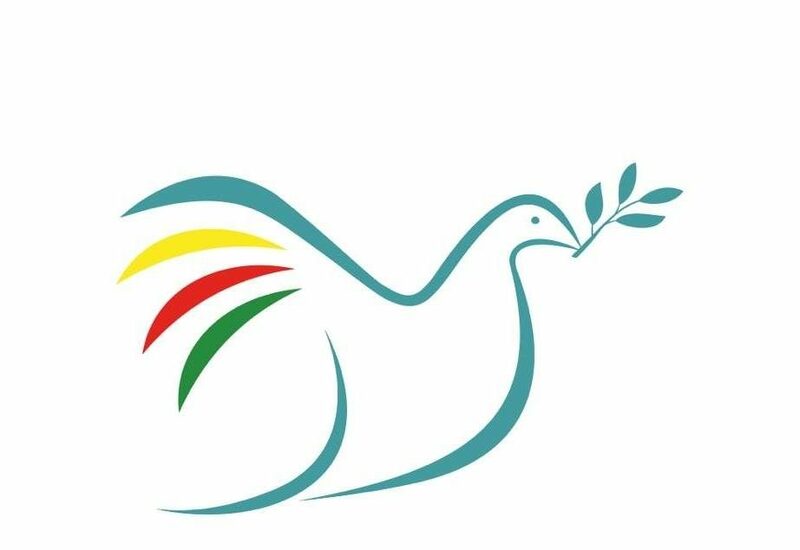 There might have been peace through dialogue and an end to the violence in a conflict that has claimed over 40,000 lives. 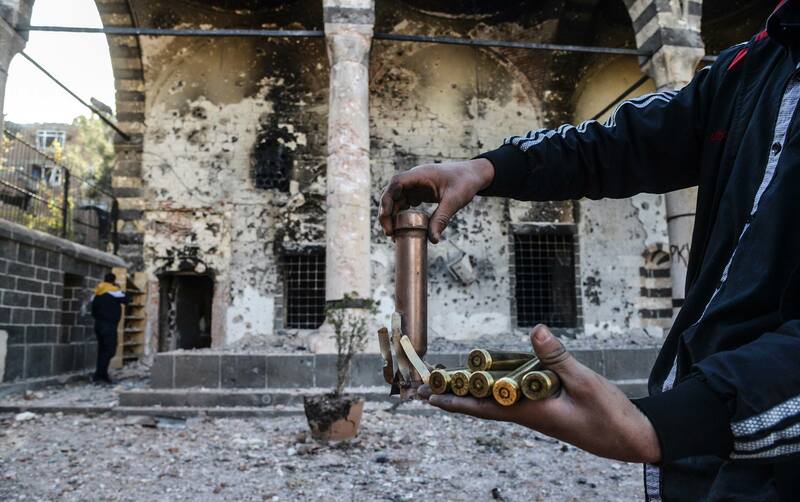 As I write I have just heard that last night 60 Kurdish civilians burnt to death in Cizre, in a building set on fire as a result of its bombing by Turkey’s security forces. We are now witnessing a scenario even worse than what happened during the ’80s and ‘90s, an urban war, in which the AKP sends its security forces, army, air force, police into towns and villages in the South-East, massacring innocent men, women, children, even babies and those yet unborn. 24-hour curfews have been ordered in 53 places, denying residents the basic necessities of life: water, food, electricity, medicine, mobile phone communication, and as I write, at least 38 people in a basement in a street in Sur, Diyarbakir, some dead, some seriously wounded lie together refused the urgent medical help they require. I could go on, for I was in Cizre and Sur last autumn and during the November Snap election, but the situation today is far worse. The UK silence was dramatically illustrated on Monday, January 10th when UK Kurds staged a peaceful protest outside No 10 Downing Street, where Mr. Davutoglu, the Turkish Prime Minister was visiting. That afternoon two of our Senior Ministers went formally to his London hotel to apologize for our demonstration! Furthermore, with the backing of NATO, on the grounds that it needed support to attack ISIS in Syria, Turkey used this endorsement as a means of attacking the PKK and the Syrian Kurds. It has bombed Kurdish villages and killed many Kurdish civilians in Iraq and Syria, and has engaged in far more sorties against the Kurds than against ISIS. Turkey under Erdogan has managed to scrap the peace process, and keep the EU and the US on its side, despite such gross violations of international human rights and humanitarian laws, and in spite of the constant proposals for a peaceful solution, following the Ocalan message, delivered to the international community by the co chairs of the HPD and the PYD. I am honoured to be at this Conference with two such great leaders…who the world must listen to. d) The right to self-determination of minorities in accordance with international standards. We now know much more of the detail surrounding this abduction, and there is concrete evidence of how the various intelligent agents of US, Kenya, Greece, Israel and Turkey engineered the kidnapping, all in the context of other geo-political concerns and developments that were going on at this time, which I will not describe in this paper, but which are now well known to those who have an interest in discovering what really happened. So many States’ vested political and trade, including oil and arms deals interests ensured that the rest of the world kept silent too, as did the global media. It might be argued that those who knew what was happening, such as the UK and other EU states are accessories before and after the fact! It was regrettable that the Grand Chamber of the ECtHR decided, in 2005, that the 1999 abduction was not in violation of Article 5 (1) of the Convention, nor of Article 9 of the UDHR (Universal Declaration of Human Rights). Article 9 states that “everyone has the right to liberty and security of person. No one shall be subjected to arbitrary arrest or detentions. No one shall be deprived of liberty except on such grounds and in accordance with such procedures as are established by law “. Article 9 of the ICCPR (International Covenant on Civil and Political Rights) reiterates this right. I personally consider the Court made a wrong decision. There is a considerable mass of case law of various national courts, and I select the decision of the Constitutional Court of South Africa in Ibrahim v President of the Republic of South Africa (1991) as most comparable to the Ocalan abduction. This case was cited by advocate Sydney Kentridge who represented Ocalan in Strasbourg. Ocalan was tricked, lured, drugged, and blindfolded, with the connivance of the intelligence services of the US, Greece, Kenya Israel and Turkey, and his arrest neither complied with Kenyan law nor with rules established under International Law. Had the ECtHR found that this abduction was unlawful, then it would follow that all subsequent proceedings, – trial, conviction, detention, emanating from that kidnapping, were unlawful also, and there would have had to be a new trial which would have to have complied with international standards. Professor Bill Bowring, who attended the Grand Chamber hearing, commented to me “The Court made a great and decisive judgment on the death penalty but it was a shame they could not go with the applicant on abduction”. Ebrahim was an ANC military operative in exile. He was kidnapped in Swaziland by the apartheid forces, tortured, and forcefully brought to South Africa where he was charged with sedition and sentenced to 20 years imprisonment. On appeal, the S A Supreme Court of Appeal found his abduction, arrest and detention in breach of international law and accordingly wrong and unlawful. Therefore everything that followed was likewise wrong and unlawful, that is, his trial, arrest, sentence and imprisonment, and he was consequently released. Ibrahim later rose to become the Deputy Minister for Foreign Affairs in the Mandela government! We hope in the not too distant future Ocalan will also be a free man and able to lead his people into a new democratic environment. There have been so many years, between 1999 and 2009 when Ocalan’s solitary confinement meant that he barely spoke to anyone. Even his guards were ordered to limit their conversation with their prisoner to only the minimal number of words. From the moment Ocalan was delivered by the Kenyan official into the hands of the Turkish officials waiting for him by the aircraft in Nairobi, he was subjected to degrading, and humiliating treatment. Photographs of him drugged, and blindfolded were widely distribute to the global media, appearing all over the world on the front pages of national newspapers and on TV screens. Over these last 17 years Ocalan’s health has suffered severely, physically and psychologically. Today, he is far from well and continues to languish in prison in conditions that are akin to torture. Today he is completely isolated and has had no contact with his family or lawyers for a considerable period. In 2014, the European Court ruled, citing Articles 2, 3, that Turkey had partly violated the ECHR and called on the country to create the possibility of conditional release for life sentences, or abolish them completely. This was an exceptional part of the decision, but has been ignored by the Turkish government. An irreducible life sentence, with no possibility ever of parole, is torture, as defined in the UN Torture Convention (CAT). However that ruling was with reference to the conditions of his detention from 1999 to 2009. Today, the conditions of Ocalan’s detention are as bad or worse than they were before 2009, since for the last two years he has been prohibited from meeting his family or his lawyers. It is ten months since the world last heard from him, and he has been kept in total isolation since April 2015, now that the two remaining inmates (through Turkey implementing an hitherto unseen sanction) were removed from the island and detained elsewhere. This situation gives reasons for grave concerns for his health, and even his life. Imrali is the “Guantanamo of Europe”. In 2004 the judges had ruled there had been no violation of Article 3 (prohibition of inhuman and degrading treatment) during the period subsequent to 2009. Also by four votes to three they found no violation under Article 8 (right to respect private and family life). But now the regime on Imrali is as bad as can be, no lawyer-client consultations, family visits, letters or telephone calls. Even the political delegation of HDP parliamentarians could not confer with him after Erdogan halted the peace talks. The current total isolation of the whole Imrali Island Prison – copied now in other Turkish prisons – is not only unprecedented in Turkey’s history but a grave violation of all international and European conventions and charters. Such gross breaches of international and European standards is causing today a massive escalation of the conflict that will affect the whole region. Ocalan must be released so that peace through dialogue can be resumed. The Kurdish question can never be solved militarily. Self-Determination denotes the legal rights of people to decide their own destiny in the international order. It is a core principle of international law, arising from customary international law, and is enshrined in a number of international treaties, such as the UDHR and the ICCPR. Like Nelson Mandela did in South Africa, Ocalan has fought for the right of self-determination of the Kurdish people, deprived of their rights and identity following the defeat of the Ottoman Empire in World War I. In terms of international law, armed struggles are permissible when people are banned from any political activities and their organizations declared illegal. The stumbling block to the peace process in South Africa was PW Botha, in Turkey it is Reccep Erdogan. Ocalan is the undisputed leader of the majority of Kurdish people particularly in Turkey and Syria and in the Diaspora. It is he who has initiated peace talks with the Turkish regime from his prison cell. He gave the AKP his Road Map to Negotiation. Under his leadership the PKK has abandoned violence in favour of dialogue. Both the PYD in Syria and the HDP in Turkey have continually stressed they had no wish to change borders, but were intent on securing the equal rights of all peoples in their countries, not just the Kurds, irrespective of religion, ethnicity, or gender. Peace, democracy, justice, gender equality, freedom of belief, pluralism…these are the Ocalan messages, and peace can come to this battered Middle East region only if Ocalan is released, the terror tag removed from the PKK, and Erdogan (who has claimed his admiration for Adolf Hitler) and his AKP party are made accountable for their crimes against humanity and war crimes. I pray that the suit in November will be successful, and that international pressure from governments that assert their respect for human rights will swiftly lead to Ocalan’s release so he can lead his people to freedom.